Board index MISCELLANY The Book Forum Any good books on practical potion making? I know this may sound like a strange request. Please dont get me wrong, im not looking or expecting Harry Potter style potions that fix everything etc . However I do not deny the power and practical uses of herbs, spices, etc. Most of my magical work is concerned with helping people who have hauntings, negative entities in their home, attachments, etc. I most use various incenses, Qabalah based rituals, solomonic style exorcism etc to accomplish this works. However during my inner meditations and speaking with my HGA (guide, magic mentor, what ever words you like to use) its been growing on me that I need to learn some type of practical skill clients can use/drink/wear. I know a few "recipes" for teas and brews that are supposed to be for protection, and help remove attachments. But I would like to find some more resources, books, etc on the subject. Unfortunately most information on this subject goes away from practical, and into a very new agey wiccan area. Im not totally opposed to this, but its hard to separate the good from the made up when everything tells you ask for help from fairies and the moon goddess. 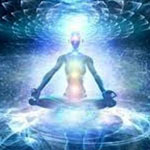 Any help would be greatly appreciated as Im trying to make a working manual for other people interested in doing the same kind of "spirit mediation" work that im involved with.